Eyecandy, custom projects and misc. By LordGood, October 30, 2016 in Eyecandy, custom projects and misc. I've had a job as a full time construction worker for about a month now, so I think I'm reasonably well qualified to make some construction sites! I dont think a blue plastic porta-potty would fit too well in 0 AD though. Relevant point about the blue porta-potty. The colour should match the player colour. Make more generic ones too. Are you working on those to upgrade our 'rise from the ground' stuff? And if yes, could you also add the scaffolds as actors? There are foundation actors, which are placed when a site is chosen, and then scaffold actors are nested in the foundation actors and activated when they're being built by a unit. These are scaffold actors, though I could actually raze it down to the foundations for use as foundation and ruin actors if I wanted to. I was actually planning on it. Have no words. Very good job! Whooooah! Especially love the (big) tower scaffold! 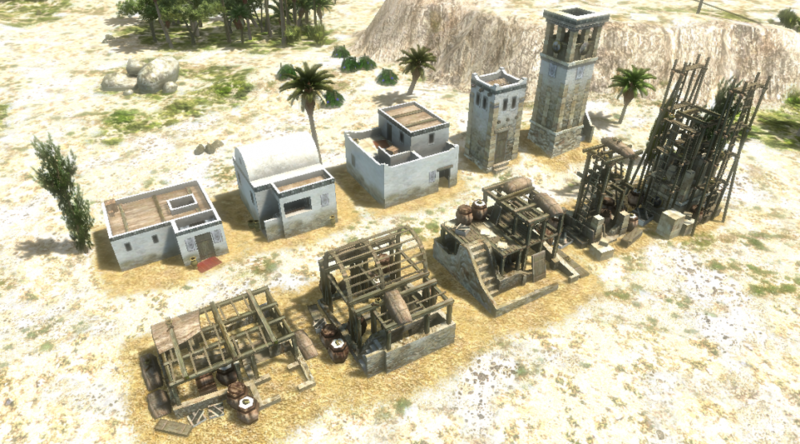 Perhaps Carthaginians could be an experimental civ for a new construction system including foundations, scaffold models and full building models? While they look nice, I for possible would like to see destructing variations over construction variations. But both would be cool. No complaints either way. yeah I noticed that while committing your drop foundations, I'll fix it. 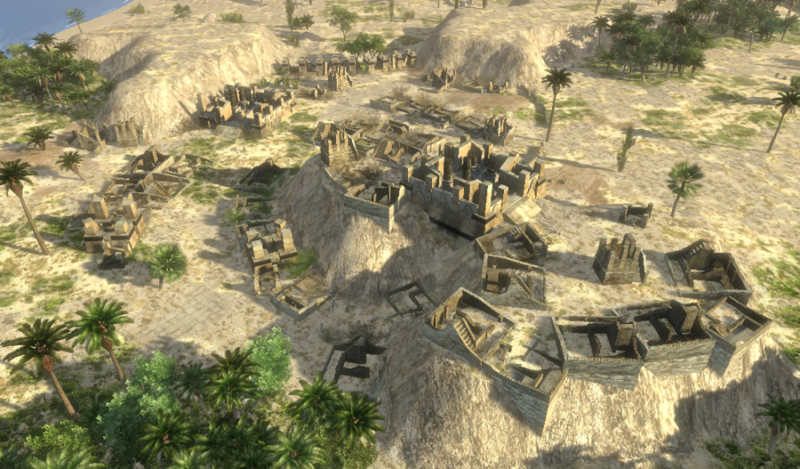 Breaking News: Remains of Carthaginian Buildings Found! Would make good objects for gathering resources (stone mostly). @LordGood Any plans on progressing with the construction-progression actors? good argument(pretex) to retake this task. and its related with mining actors.